An expansion team in 1969, the Kansas City Royals brought baseball back to KC after the Athletics relocated to Oakland in 1967. The Royals struggled early as expected of any expansion team but they would make their first playoff in 1976 and return in ’77, ’78 and 1980. The latter year would see the Royals make their first World Series although they would go down in defeat to the Philadelphia Phillies. The first half of the 1980’s were good to the Royals and in 1985 they would put it altogether and win the World Series by defeating their cross state rival, the St. Louis Cardinals in 1985. The Royals would remain decent for the next ten years (although they did not reach the playoffs) but from the mid 90’s to the early 2010’s organization did not perform very well and more often than not found themselves in the bottom half of the standings. After 29 years, the Royals returned to the postseason as a wild card team and advanced to the World Series but were beaten by the San Francisco Giants. The next year they would return to the World Series but this time they would beat the New York Mets to take their second championship. This list is updated up until the end of the 2017 Season. Come on, could we have possibly picked anyone else? 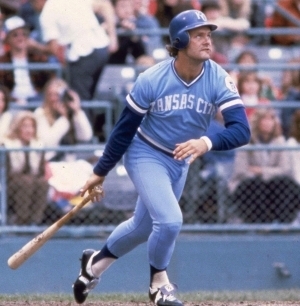 George Brett is among the top hitters in Baseball history and arguably the best one to ever play regularly at Third Base (though Mike Schmidt might argue). 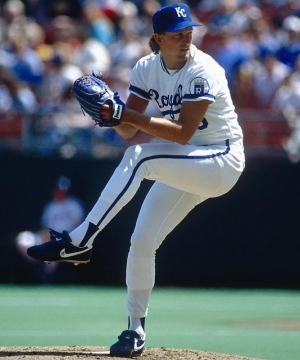 Bret Saberhagen played the first eight of his seasons in the Majors with the Kansas City Royals and there was a definite pattern to his annual performances: If the season was an even number Saberhagen likely had a subpar campaign. If it was an odd number, it was a good one...in some cases it was very good! There are many who might think the ranking of Kevin Appier is very high. We get that. He was an All Star only once and was never a 20 Game winner. Realistically he was a Cy Young candidate only once in his career (1993) where he finished third in voting, a season where he would win the ERA Title. This seems good, but third overall for a franchise? 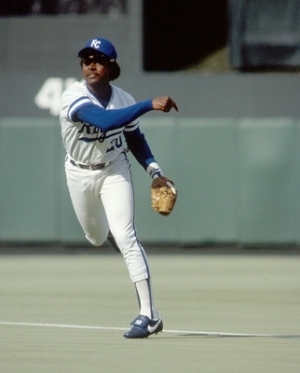 While the story of Willie Wilson can not be described without discussing the 1983 drug charge where he and three other teammates were jailed for 81 days for attempting to purchase cocaine (he was suspended for the first six weeks of the 1984 season) this is not how we remember the fleet footed outfielder. Amos Otis appeared to be a bad fit with the New York Mets, or at least management thought so. 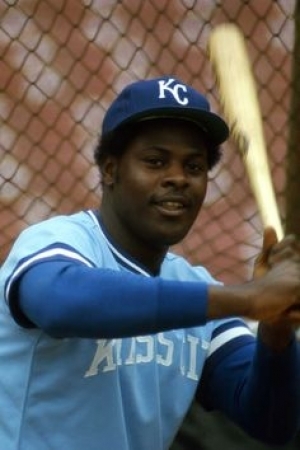 Kansas City certainly didn’t feel that way, as Otis would become one of their best players throughout the 1970’s. 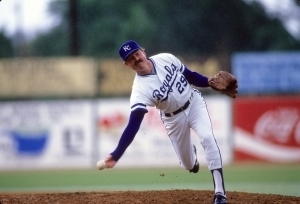 During the first half of the 1980’s, Dan Quisenberry was the best closer in the American League, and if you don’t believe that it should be believed that he was the best known. 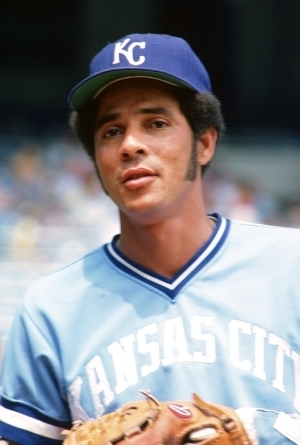 Frank White was a member of the Kansas City Royals for all eighteen of his Major League seasons, and the Royals faithful were happy that he was there for the duration. 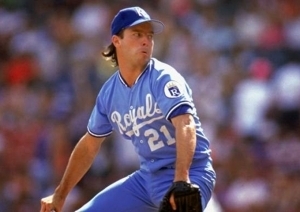 With the exception of the 1993 season where he was mostly used as a Middle Reliever, Mark Gubicza was a Starting Pitcher for the Royals for thirteen seasons. 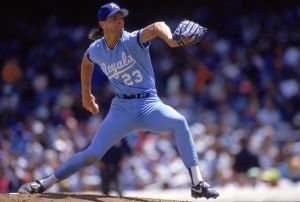 Over that time Gubicza was used either as the team ace, the number five starter and all spots in between which was enough for him to accrue 133 wins as a Royal. Hal McRae was not a very good defensive player, but fortunately for him and the Kansas City Royals he emerged in the 1870’s when the Designated Hitter came into fruition. 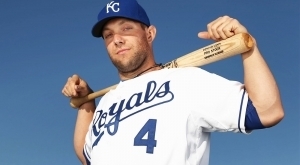 At the University of Nebraska, Alex Gordon was considered by all of the experts not just to be the best Cornhusker on the diamond but the best baseball player in all of the NCAA. 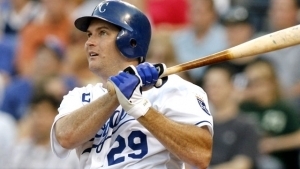 It was certainly no surprise that the Kansas City Royals would make the versatile player the second overall pick in the 2005 Amateur Draft. 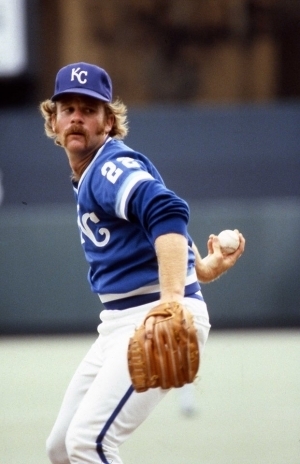 Dennis Leonard may never have been an All Star but the mustachioed hurler had some campaigns where you thought he might have been considered for it…especially if the All Star Game was voted on after the season! 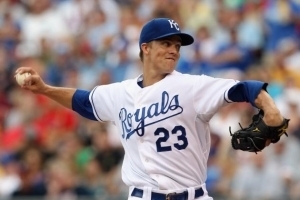 Zack Greinke overcame a lot of personal adversity on his way from a high First Round pick to Cy Young Award winner. Greinke suffered from severe depression and anxiety and was almost out of Baseball but he persevered to become the ace that pundits knew he could always be. 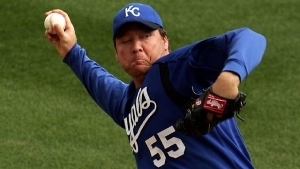 Mike Sweeney is one of the all-time good guys of the Kansas City Royals in terms of dugout presence, community involvement and just being a quality human being. More importantly (for this list anyway) he was a pretty solid player. 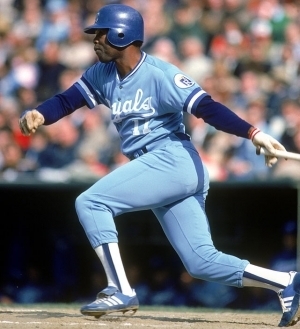 In the mid-1970’s it would be hard to dispute that John Mayberry was one of the biggest reasons to catch a Royals Game. On a team that did not have a lot of power hitters, it was Mayberry who would be the one to most likely go deep. 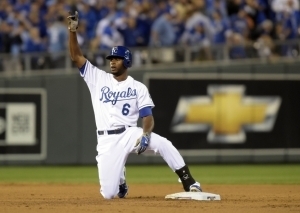 Lorenzo Cain played for Kansas City for seven seasons and he was arguably the team’s spark plug for much of that time. In Jeff Montgomery’s rookie year with Cincinnati, he made one start in fourteen games. He would be traded to the Royals where he would never start again, and never play for anyone else. 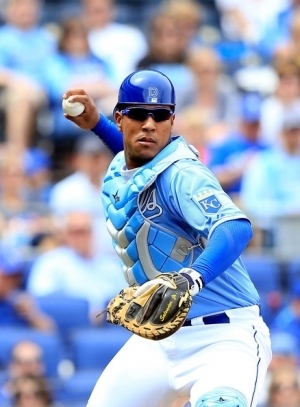 One of the most popular Catchers in recent memory, Salvador Perez has also proven to be one of the better defensive ones too. 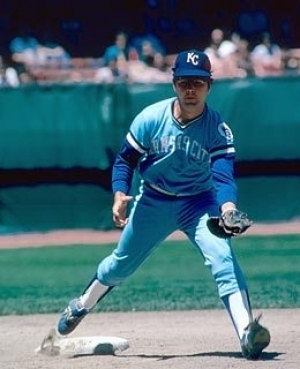 A fixture in the Kansas City Royals infield throughout the 1970’s Freddie Patek brought a strong defensive presence to the lineup. While Patek never won a Gold Glove, he was the American League leader in Defensive bWAR and Total Zone Runs in 1972. 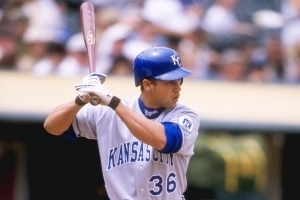 Carlos Beltran has an excellent chance of being a Hall of Famer and it all began in Kansas City. In 1999, Beltran took over the starting Centerfield job and the third spot on the batting order. Not surprisingly, Beltran would win the Rookie of the Year in the AL and he would belt 20 Home Runs and 100 RBIs in all of full seasons with Kansas City.